With the growing popularity of both fat shaming and illegal backyard fights, one budding entrepreneur had the idea to combine the two to reel in some cash. But the business plan was derailed when police bought one of Lebron Brown’s tickets and then arrested Brown for organizing an illegal fight. 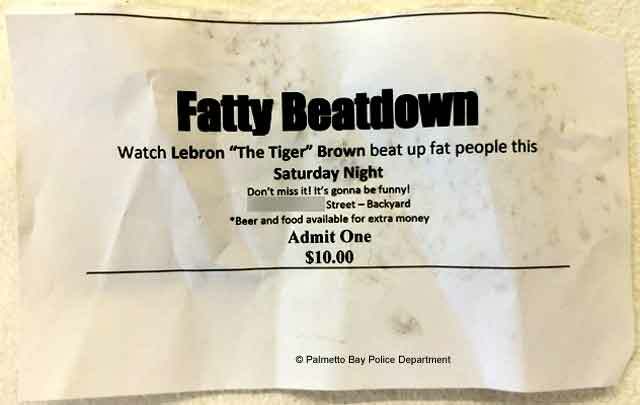 Allegedly, Brown had paid 12 morbidly obese people (several wheelchair bound, one with Down syndrome and two women) $25 each to let him beat them one at a time in front of a crowd. Participants were told they could fight back, but that under no circumstances were they allowed to win, and that they would have to stay in the ring until they were beaten unconscious. Brown sold tickets on the street for $10 each and police believe he had sold roughly 300 in less than a week. Look, everybody was willing, know what I’m saying? It’s not like I was gonna force the whelephants to get beat without getting paid. I’m just trying to provide an entertaining product so I can get paid and pursue the American dream. You’re violating my constitutional rights. 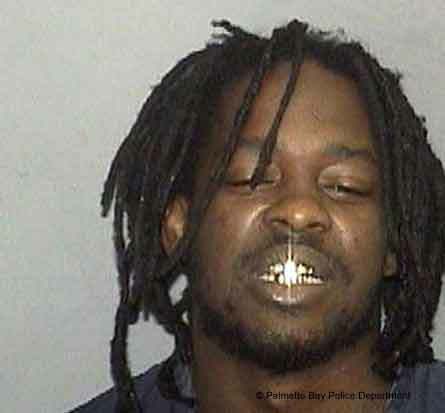 Brown posted bail and was released. His court date has not been set.